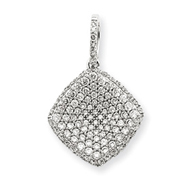 Add some serious shine to your wardrobe with this beautiful diamond pendant. 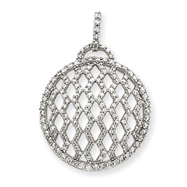 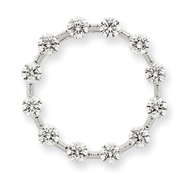 A Diamond-studded White Gold bail holds a large, sideways heart crafted from patterned White Gold. 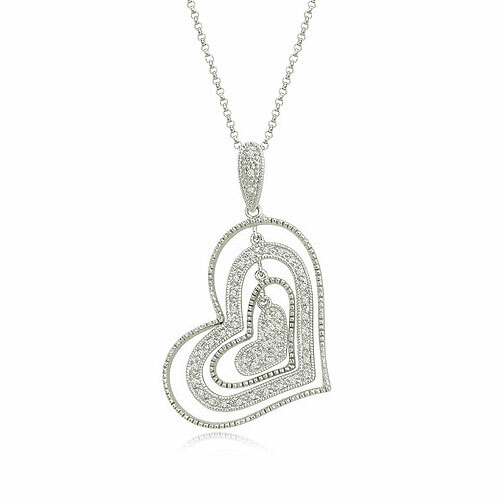 Hearts of graduated size - some covered in Diamonds, some with simple patterns - are hung inside one another for a layered and beautiful look. 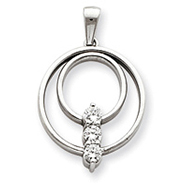 Add the matching earrings to complete this set.